Scientists have uncovered astonishing new evidence that suggests dinosaurs may have been wiped out by a toxic flower. An amazing new theory advanced by some scientists claims that dinosaurs may have been wiped out, or at least were on their way out, due to a toxic flower planet long before an asteroid finished the job. Current wisdom holds that a massive asteroid that struch the Earth about 66 million years ago caused immense destruction that led to the end of the dinos, but this study calls into question whether they would have survived anyway. 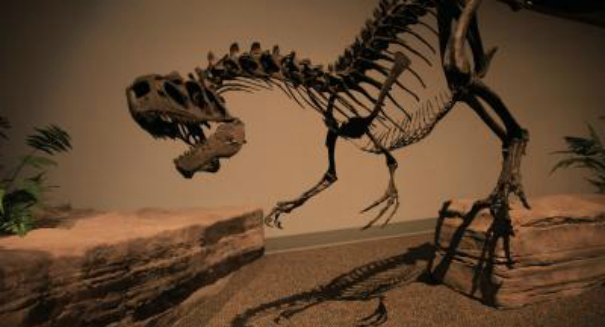 The research, published in the journal Ideas in Ecology and Evolution, says that the dinosaurs were already endangered due to eating a toxic plants that they did not identify as poisonous. The scientists, Michael Frederick and Gordon Gallup, found a correlation between the emergence of this plan and the decline of the dinosaurs. Furthermore, scientists believe their lack of ability to recognize a poisonous plants exacerbated the decline. Modern species have evolved the ability to detect poison and develop and avoidance to it after becoming sick, associating the smell and taste of it with a bad reaction.